Every month the Prodigy Group hosts a Mingle for emerging members of the business community to get together and connect. These events are fun, laid back and can help foster great business connections in Victoria’s growing business economy. Mark your calendars for the second Thursday of every month from 5:00 pm – 7:00 pm. Whether you’re a current or future member of The Chamber, come down and see what it’s all about – and invite your friends and colleagues, we would love to see you! Check out our coming events here, and our past events here. Join our mailing list to make sure you don't miss out! The benefits of sponsorship include exposure to the city's Prodigies making sure your business name is associated with these upcoming and currently on top professionals. 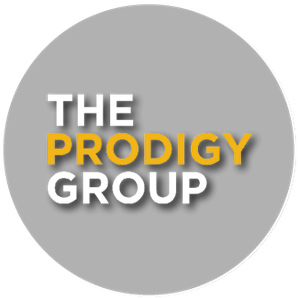 The Prodigy Group Mingles provide a relaxed and friendly atmosphere for meeting and connecting with like-minded business professionals on both a social and professional level. Sponsors for Mingles are not only restaurants and pubs around the city, but they can be any business that is able to provide space for 50-100 attendees, appetizers and a cash bar. Quick note, in order to qualify to host, Sponsors must be both a Chamber member and a licensed facility. This is an incredible opportunity to introduce your business to new customers. The Prodigy Group will work with you to maximize exposure through our active social media channels, website, and e-newsletter. If you are a member of The Chamber or thinking about joining, we would like to have the opportunity to chat with you about the benefits of hosting one of our Mingles. For more information please contact The Chamber's Events Manager. This is a unique charitable event aimed to collect thousands of rolls of toilet paper for families in need. The collected rolls are donated to the Mustard Seed Foodbank, who ensure they are distributed throughout the year to people in need. The goal of TP the Town is not just to provide toilet paper, but to provide dignity. Something that most of us never have to think twice about, is a constant source of anxiety for people in need. Through TP the Town Victoria, The Prodigy Group helps to eliminate the ugly choice of "Food vs. Toilet Paper." Would you like to take part? Email our TP the Town Lead, Andrew Wilson or stay tuned to Prodigygroup.ca and Facebook.com/Prodigygroup for details on TP the Town 2019. It's Your ROLL to give!